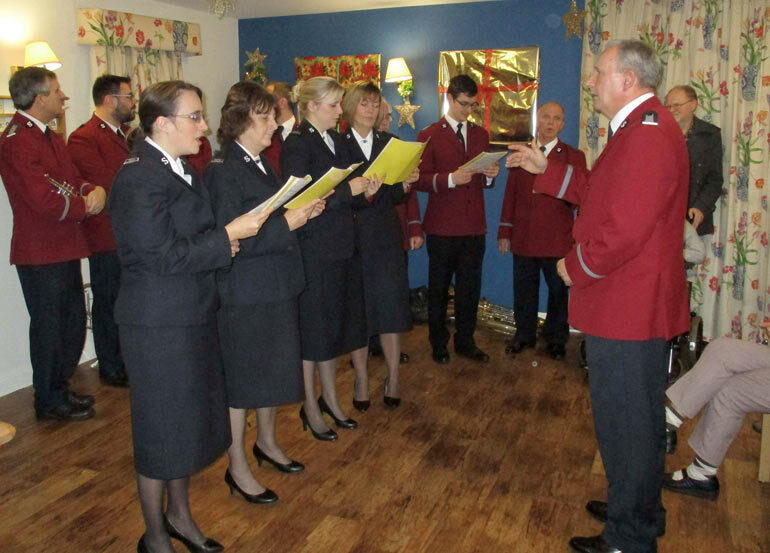 Church singers filled a Poole care home with Christmas spirit recently. The sweet sound of hymns and Christmas carols were sung during a visit by church members. Clergy from St. Clement’s in Parkstone are regular visitors to Colten Care’s The Aldbury home in Ringwood Road, where they offer residents regular services and Communion. But songs were the order of the day during their most recent visit to the dedicated dementia home. A small group of parishioners sang ‘Silent Night’, ‘Away in a Manger’ and ‘I Wish It Could Be Christmas Every Day’, joined by residents including Gwen Gill. The Vicar of St Clement’s, the Reverend Jonathan Foster, also gave a reading about the birth of Christ and led residents in prayers. Alan Icely-Brown, home manager, said, “Residents, relatives and colleagues alike all love to welcome people into our Home and particularly at Christmas when we can celebrate together as a community.